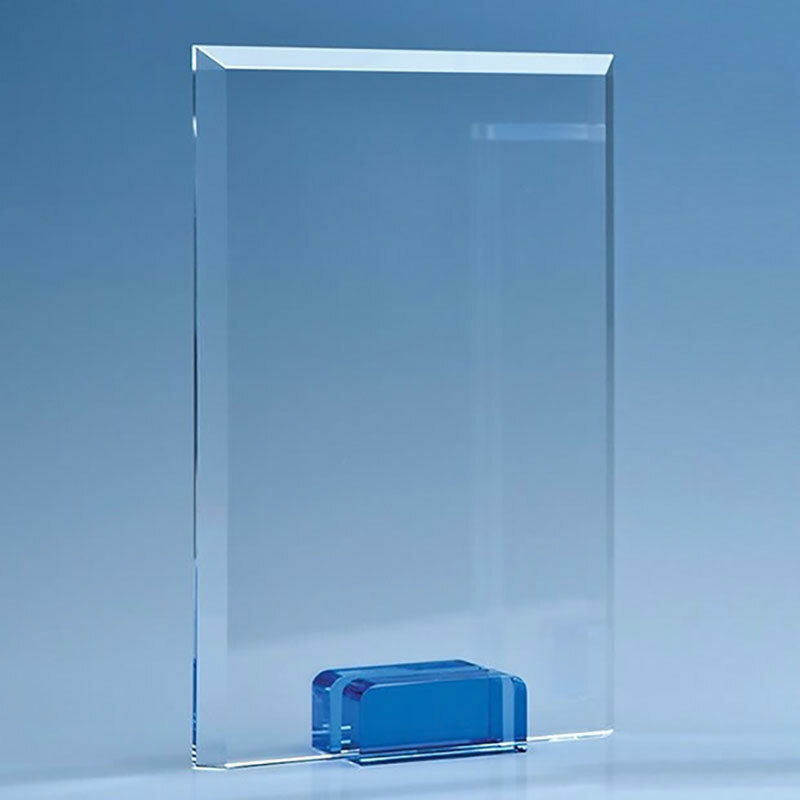 Clear optical crystal rectangular plaque with bevelled edges set on sapphire blue glass base. 16.5cm tall. 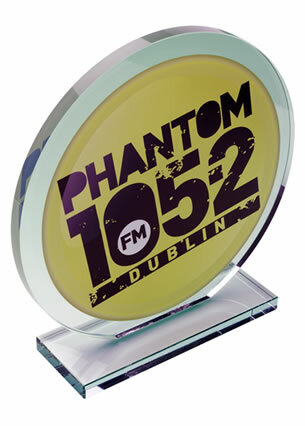 Offered with low, fixed cost text engraving and free logo engraving (one-off set-up fee applies to new logo graphics). 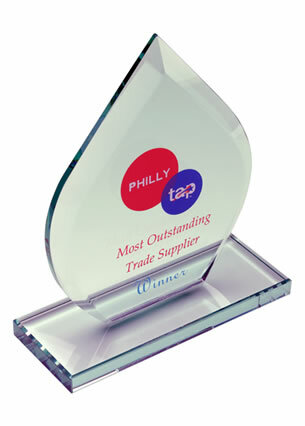 A modern twist on a classic crystal awards plaque. These contemporary awards feature a classic flat glass plaque, in clear crystal with thick bevelled edges, but comes mounted on a distinctive sapphire blue glass stand. 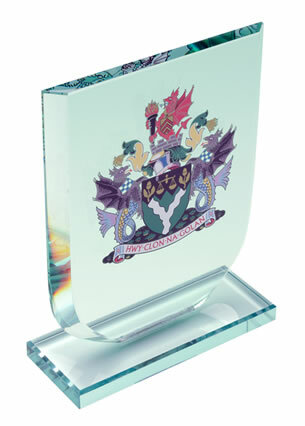 The flat front of the plaque provides a large area for engraving or colour printing your award with event or achievement details.